Packing 5200 mAh of portable power to keep your electronic devices performing longer! Portable power for your electronic devices in the shape of a mini Honda generator! Categories: Clearance Specials, Honda Power Equipment Merchandise. 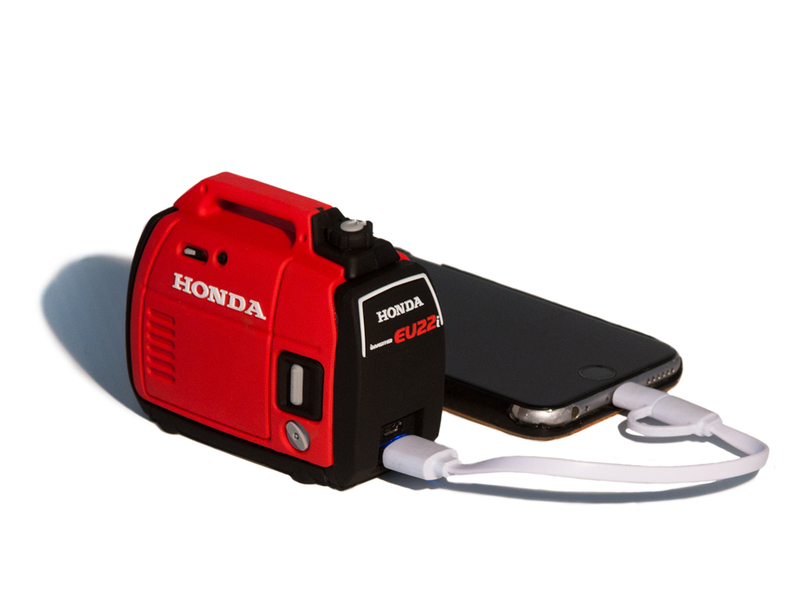 Tags: 5200mAh, Mini Honda EU22i USB Charge Power Pack, phone charger, Portable power.